There are a great number of swimmers who can make it easily across the pool, but struggle to do laps. 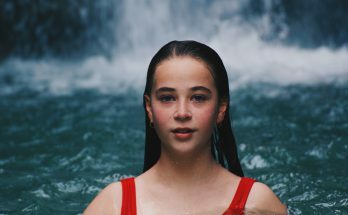 You can do swim laps like a professional in a short amount of time by learning some simple techniques. This article will provide a few easy instructions for strengthening the most important muscle for swimmers – their hearts. 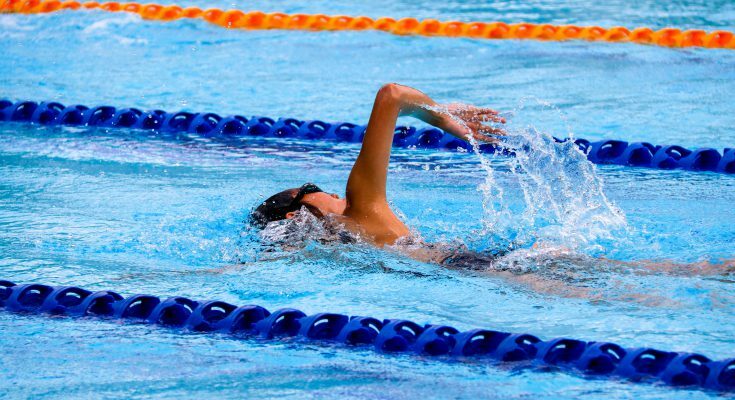 One of the biggest complaints of swimmers who cannot do laps is their breathing. Do you feel tired by the time you get to the other edge of the pool? Perhaps you’re out of breath and are hyperventilating. Still, maybe you’ve made it across the pool with all the energy you could muster and are now too pooed to make it back to the starting side. Whatever the dilemma, there is a way, a simple method, for doing swim laps like a pro. As with anything done long distance, the key is pacing. Swimmers have to learn to use their resources (breathing and strength) sparingly so that there is enough of it to take them from one point to another. In swim terms, this would be from one end of the pool and back repeatedly for as long as they like. Learn how below. Firstly, a swimmer must practice their breathing technique out of the pool as well as in the pool. This is important. The more confident a swimmer is in the water, the better the outcome for breathing naturally through strokes. 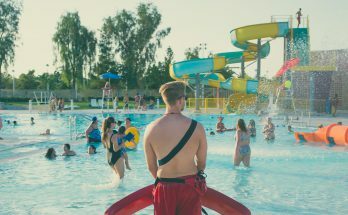 If a swimmer is panicked, thinking that they will sink or take in water, then their experience across the pool will be choppy because they are thinking about surviving rather than swimming. 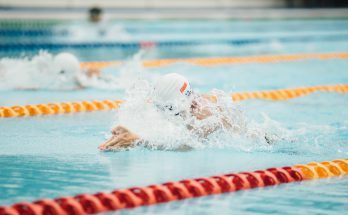 The swimmers splashing water about and slamming their bodies through the water are more likely to have trouble doing laps because they are using up all their energy just trying to swim. Relaxing is key! Here is a simple, but effective lap swim exercise to try in the water. On your next swim day give this a try. On your second week of swimming, try this. On your third week of swimming, try this. Each week of swimming decrease the amount of seconds for resting between laps until there is only one second of rests. The object is to come up for air at the end of the lap as if taking a breath within a swim stroke. While mentally counting out the rests seconds, try to bring heart rate and breathing back to its position at the start. In other words, do not swim until you’re breathing normally. Swimming laps can benefit a swimmer in many ways. It is a heart healthy exercise that can strengthen that powerful muscle with every stroke. Other endurance exercises build-up lactic acid in the body, but swimming laps can flush these toxins out while developing core strength. 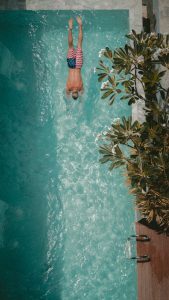 As mentioned in other articles here at Swimfolk, swimming is a great low impact exercise for building muscles, relieving stress and creating over all well-being for the body. I used this technique to learn how to do laps and found it to be a good measurable way of developing this process. Each week the swimmer is closer and closer to swimming laps and hopefully their breathing technique becomes easier.